NOTE!! : Please update again if you already did earlier today, I left a script in by accident that messed up the LL (I know right, when has it ever not been messed up?). They should be quite rare now, like "3 P90s out of 60 or so raider vets"-type rare. Have fun. Probably the last update in the absence of anything game-breaking. Follow the update procedure as always. XB1 version up today. Check beth net. The gun is still stupidly common or Im just incredibly lucky. 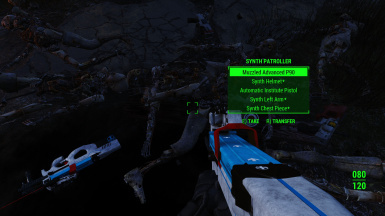 I got 3 of them just by doing save Preston & Co quest in Concord. 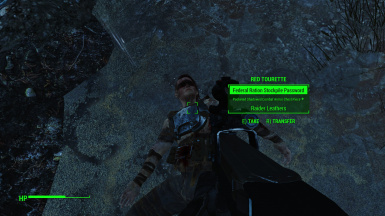 One was on that dead guy by Sanctuary bridge and 2 were dropped by raiders attacking museum. Download history shows I installed your mod on April 13th so presumably I have your rarity patch. Other then that it is an awesome gun, thank you for sharing it. 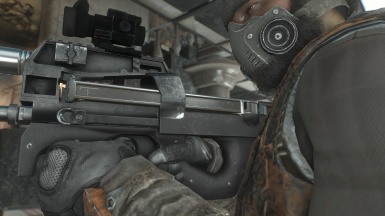 Edit: I played some more and so far like every 5th raider has this gun. 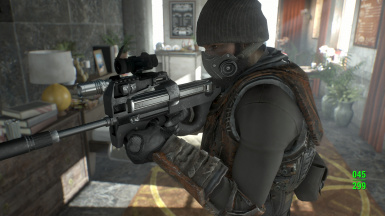 I think Ill remove the P90NPC.esp and hope it doesn't break my save too much. If you didn't update correctly, the leveled list will not have been reset. Watch out Enyap! Constructive criticism is removed here, even if it is respectful! Additionally, just to help you since you are new to this, you can turn off sticky post replies like the other authors do. I don't delete comments, don't know where you got that from, even if they are offensive, but you'll get an earful from me. I don't delete anything, that's shady (and you must also not have gone through the ~1000 comments that definitely aren't all positive). But thank you for the heads up, locked. "If it's sense, it ain't common." If I had time to rewrite the LL integration script, I would love to update this mod, I've changed a few of the animations so it plays better. Maybe I'll get to it after I get some stuff released. 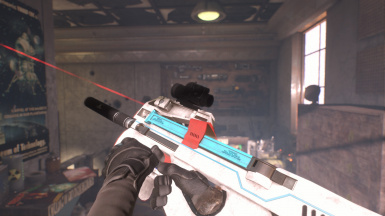 So far I've spent waaaaaay too long playing with the many good gun mods available. 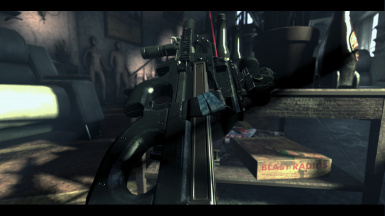 My advice, just get the P90! 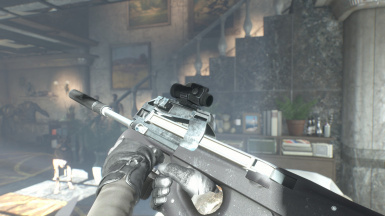 It is the best all purpose weapon short of a long range sniper rifle. Who else is here because of Stargate? 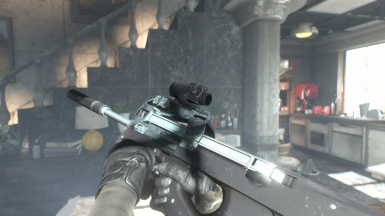 I have many different gun mods which are injected to the game through script. 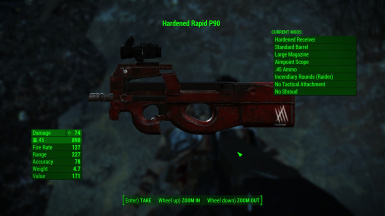 When I first installed this mod, there were plenty of P90s spawned in enemies' inventories. 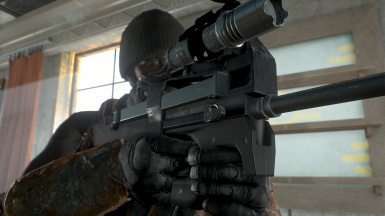 However, as I installed more and more weapon mods, it seems like P90 does not spawn to enemies anymore. Most of the other mods spawn appropriately. Strange. From what i can tell conflicts are still possible when you have a lot mods that add level list scripts, probably better off using the standard level list version and using a merged or bash patch. 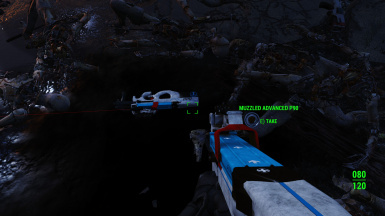 Hey what was that really cool hazmat looking armor in PandoraAlivep904s screenshots? 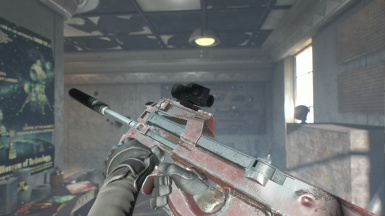 How do I make P90 work in full auto rather than semi? I got it with hardened receiver. Is this why I have semi automatic? This mod is still damn buggy.. I deleted it myself because the LL integration was bothering me. 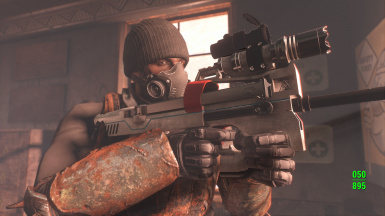 It wasn't even it being common that bothered most, but the fact it spawned on Raiders more often than not and they had laser sights with it. 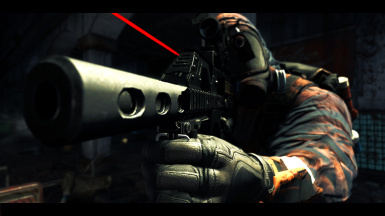 Lasers are broken in Fallout 4, sadly, which is why most other mod authors don't add it. 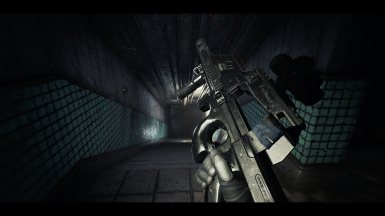 Other than all that, the gun is beautiful, with great animations, but with a bad LL Integration and some balance issues (both player and NPC). I say, you should just give it a try, I had it on my old save and it had no issues whatsoever adding and removing it. What's the mask in those screenshots? "The Rebel" one. No longer exists as a standalone/by itself on the Nexus website. It's part of a pack now. You can find it on other websites by itself though. Idk if it'll be up-to-date tho. 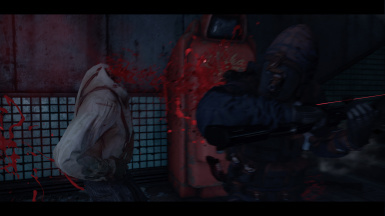 Where can i find the institute skin?